Mimsy: Should we be pessimistic about good governance going into 2016? Progressive hero. Segregated federal agencies after Republicans opened them. As we head into a new election year, I may not be optimistic, but I’m not pessimistic either. In 1912, the United States elected a progressive president who imprisoned perceived political enemies, even inconsequential ones, even activists who shared his progressive vision but differed on implementation. 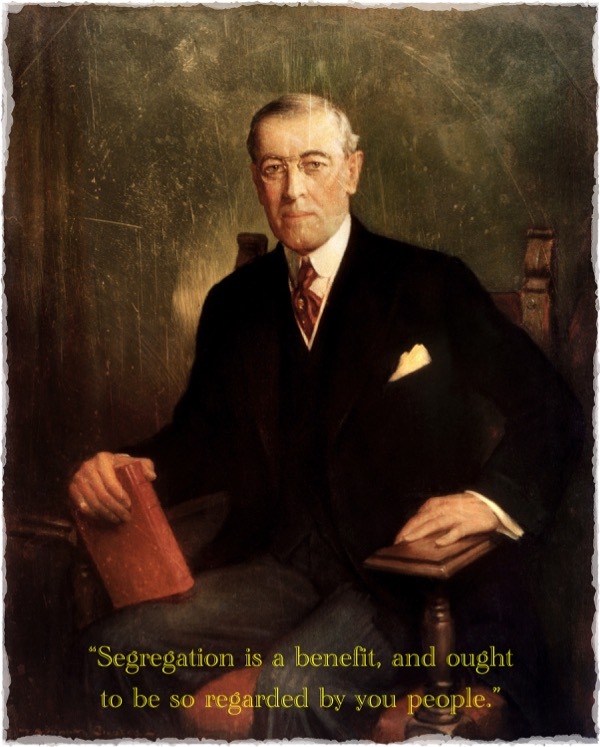 He segregated federal agencies that had been opened up by Republicans. He organized the entire country around a militaristic model, pretty much nationalized the banking system and the railroads and his War Industries Board pulled the strings on the rest of industry by controlling raw materials and setting production quotas. But when the war ended, even though progressives wanted to maintain this fundamental transformation of the economy, the War Industries Board was disbanded. Government control of the economy wasn’t ended quickly enough to avert the Great Depression of 1921, but Republican President Warren Harding responded by keeping the government out of the economy and reducing taxes, and the Great Depression of 1921 is barely remembered nowadays. In 1932, the United States elected a progressive president who imprisoned perceived enemies, including an entire race of people on the west coast, but he couldn’t expand his enemies list to political enemies or even to German-Americans. He attempted to reinstate Wilson’s War Industries Board early on in the Great Depression, and the Great Depression of 1928 is long-remembered because it lasted for a long time in response to his policies. But his National Recovery Administration was less powerful than Wilson’s WIB. 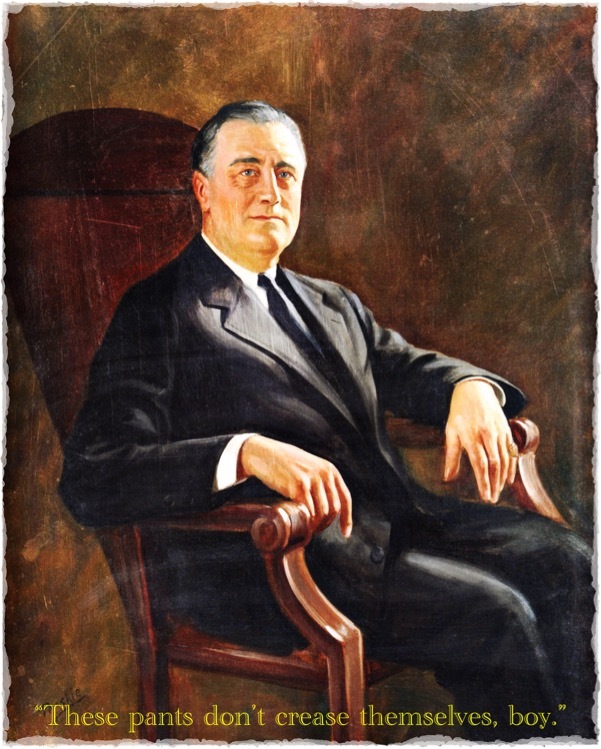 President Roosevelt did manage to nationalize retirement planning, but only by framing it as a savings plan. Because World War II distracted the government from the domestic economy, the Great Depression finally ended and we had the boom of the fifties under Republican President Eisenhower. In 1968, the United States elected a progressive president who tried to maintain an enemies list and was forced out of office because of it. President Nixon implemented price and wage controls but they didn’t last and only hard-core progressives want them back. He is remembered today mainly for failing to effectively punish his political enemies. Now, some of Nixon’s failure was undoubtedly because, unlike Wilson and FDR, he was a Republican, and—at least by the late sixties—was a bigger media target because of this. He is often blamed for the Vietnam War, for example, which was started by his more conservative predecessor, President John F. Kennedy and escalated by Kennedy’s Vice President, Lyndon Johnson. But regardless of the reason for his failure, his attempt to usher in a new progressive order failed even more miserably than Roosevelt’s, whose progressive order failed even more than Wilson’s. Progressive hero. Segregated the entire West Coast. In 2008, the United States elected a progressive president who rails on and on about his perceived political enemies and has a strong ally in the establishment media. But nobody is silenced nor, except for one anti-Muslim filmmaker, been imprisoned. He nationalized health insurance and much of the health care industry, but did so without any assistance from the minority Republican Party. The very public failures of that policy, which he is unable to silence, may yet destroy it. His lies about that policy are front-page news and lost him the Senate. He will mostly be remembered for cronyism among the health care and auto industries, among others. He’s been nearly a complete failure, even more so than Nixon. Despite two years of Democrats controlling congress, he’s been limited mainly to tying up the economy in executive orders. Because that’s where much of his red tape lies, a conservative successor, should we be that fortunate, can easily usher in an economic revival though their own executive order removing all of that red tape. At this rate, in twenty or thirty years we’ll elect a progressive president who complains about his enemies on Twitter and is routinely ignored even by the press, and whose nationalization of the Candy Crush industry fails spectacularly. On the domestic front, Barack Obama is not as bad as Nixon, who was not as bad as FDR, who was not as bad as Wilson. Foreign-policy-wise, he was worse than all of them, of course, and that will come back to us if it isn’t coming back to us now. But there is a lot to be thankful for when looking back on President Obama’s tenure compared to Nixon’s, FDR’s, and Wilson’s. Past performance, of course, is not an indicator of future performance… except when it is. Should we be pessimistic about good governance going into 2016? last modified December 27th, 2015.